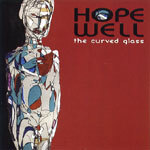 Hopewell are hard to define. Their music is a blend of styles. On this album, they display a pot pourri of psychedelia (similar to Elevator To Hell), space rock, and indie pop. It's hard not to enjoy the melodies on this cd, as well as the many intricate layers of sound. I can just imagine running at night to this music. In the streets. The lamp posts lighting the way as I run into the horizon. That's the type of music this is. "There Is Nothing," one of the standout tracks is a perfect blast of neo-psychedelia and rock. You wouldn't be surprised if it showed up on an Elevator To Hell record. Some of the pieces are more vocal based than others, so there really is something for everyone here. I suppose the complex audio collages backing the vocals and guitar make this unfittable for commercial radio airplay, but who gives a flying flounder?? Pick this baby up if you are impressed by Elevator To Hell, Enon, or even The Microphones. You won't be disappointed.